In order to link the Brenner Base Tunnel to Innsbruck Central Station, it is necessary to build a three-track entrance/exit to and from Innsbruck Central Station. North of the Inn valley highway, the double track to the Brenner Base Tunnel will branch off from ÖBB’s rail stretch over the Brenner Pass, which will continue on two tracks. Without interrupting rail operations, the existing line between Innsbruck Central Station and the Bergisel tunnel will undergo modifications. 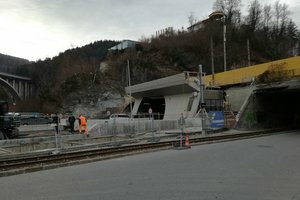 The construction work to link Innsbruck Central Station to the Brenner Base Tunnel will start at the beginning of March 2017 and are expected to last until January 2020. The works will be carried out by ÖBB Infrastruktur AG. 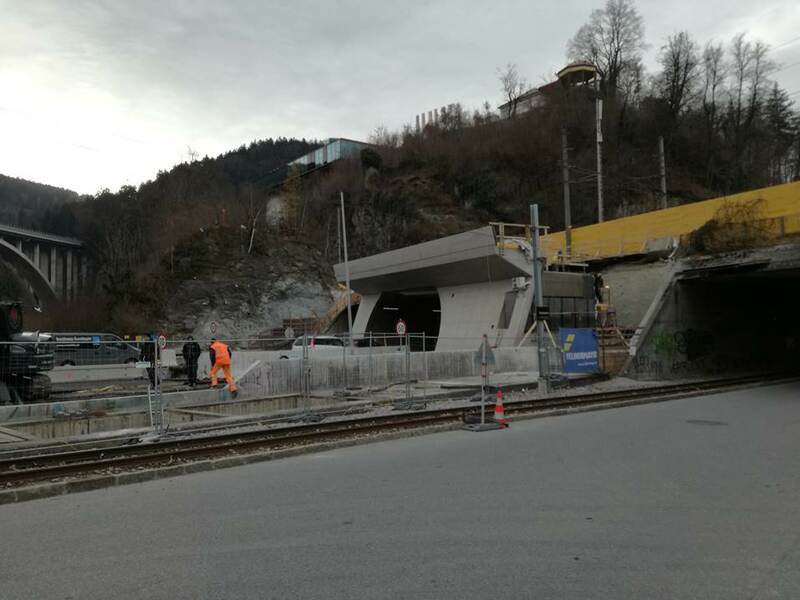 The works on the entrance to the station in Innsbruck will be organized at the same time as the renovation of the Trientiner Brücke bridge in Innsbruck and will require the closing of the Klostergasse to all traffic (pedestrians, cyclists, vehicles and tram line 6). 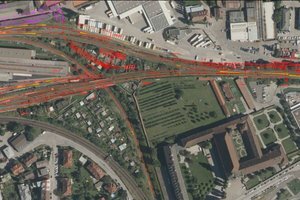 The renovation of the Trientiner Brücke bridge (in Innsbruck) and the enlargement of the Klostergasse overpass (ÖBB Infra AG/ BBT SE) will be carried out at the same time, to avoid multiple closings of the Klostergasse on the one hand and, on the other, to keep the nuisance effect for the population and those who live in the area to a minimum. During the closure of the Klostergasse between the Bierstindl and the eastern area of the Trientiner Brücke bridge the detour will travel over the Olympiabrücke bridge. Businesses and homes in the St. Bartlmä business area can be reached during the closing of the Klostergasse via the newly built Bartlmäbrücke bridge. There will be no substitute for tramline 6. Tramline J can be used as a substitute. Starting in August 2017, tramline 6 will be operational as usual.